In the form of the surface-mounted spotlight BIT, the product range was extended by a very economical and efficient spotlight. The neutral, unobtrusive use of shapes makes it possible for BIT to be used in a variety of ways. The choice of materials was made especially from the points of view of sustainability and environmentally compatible disposal. Vecto is now also available in a smaller size. Thanks to its reticent, timeless design, Vecto ensures a seamless transition of luminaire to ceiling. The efficient all-rounder in the salesroom ensures correct alignment of the lighting in the store. Its areas of use include both orientable ambient lighting and accent lighting, the latter equally for the wall area and for the interior. 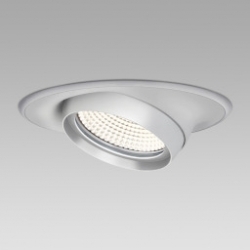 The CARDO product family comprises circular gimbal-mounted, recessed spotlights. 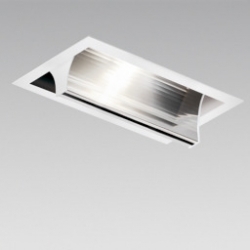 At the same time, standardization of the diameters (130 mm and 185 mm) not only give the ceiling a calm, harmonious appearance but also permit combination with luminaires from any of our other product series. 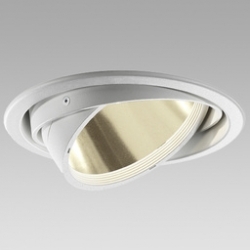 For complex and economical lighting schemes, recessed spotlights, wall washers and downlights are therefore available. Our further development of Navo is now even more efficient and hence sets new standards for appealing and economical aisle area lighting, equally suited to Food & Non-food. Larger sections of shelves can also be efficiently and economically illuminated. Navo is available as spotlight and recessed spotlight each with directional or double-directional washer. The German Design Council awarded Navo with the German Design Award 2016 Special Mention in the category of Lighting. 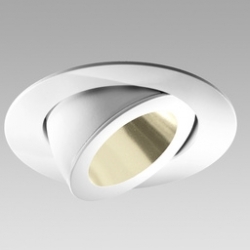 PUNTA – the classic among the recessed spotlights convinces with its special abilities. The reflector housing is located flexibly on a running ring and, in that way, ensures optimum mobility. Adjustment, which is easy to carry out, does not require a locking mechanism. The tool-free recessing mechanism reduces the mounting costs. PUNTA stands for versatile use, from the pinpointed effect high up on the wall as far as the illumination of peripheral areas. 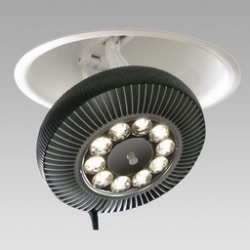 The LED spotlight ORIO is eye-catching due to its original and high-quality design. ORIO presents itself unmistakably in its functional design on the power track or as a recessed version and can be particularly recommended for modern and sophisticated lighting concepts in all sectors. 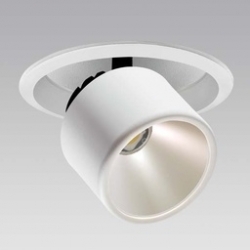 The innovative joint mechanism permits flexible orientation of the lighting head. Powerful LED modules in combination with novel reflector geometry produce rotationally symmetrical light imaging. In order to supplement the brilliant light quality from ORIO or to change the beam angle, lenses can be changed without the use of tools. The compact spotlight BOP was conceived as a product for the power track. BOP provides an optimum price/performance ratio. The design is balanced and characterized by generously dimensioned radii. 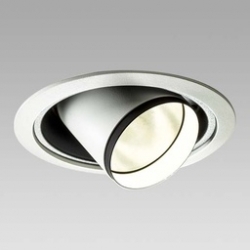 BOP gives the ceiling an uncluttered appearance and is recommended also for low room heights. The spotlight head made of glass fibre-reinforced plastic shows lower thermal conductivity. BOP is also available using the very latest LED technology. Calle 55 Este, Torre SFC, Piso 23, Ofc. 23B, Panamá.